As all of you have noticed, the temperature is rising. Now that we are in Spring and days are longer and warmer, one of the colours we should all have in our wardrobe is white. The must have colour of the season, timeless and chic! I have told you many times before that everyone should own an LBD (little black dress) but, of course, wearing a black dress in the summer season is not a very good idea, especially because of the heat. 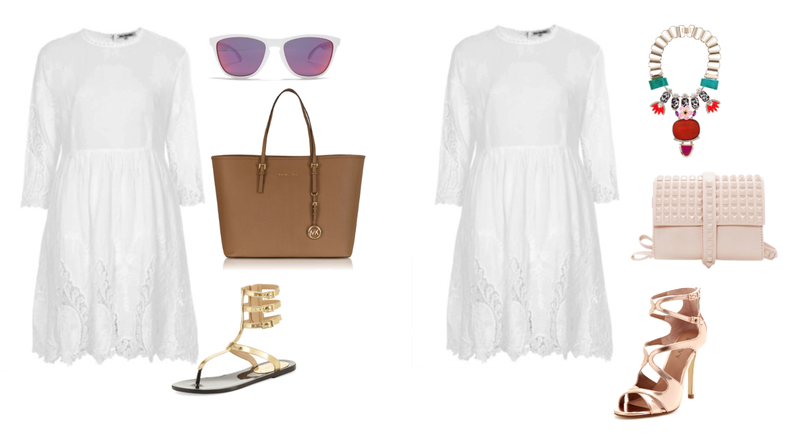 So the alternative is the little white dress (LWD). It’s worn by lots of celebrities and is super versatile since it's a blank canvas where you can be creative and accessorize as you wish. The trendiest option is wearing it with neon accessories! 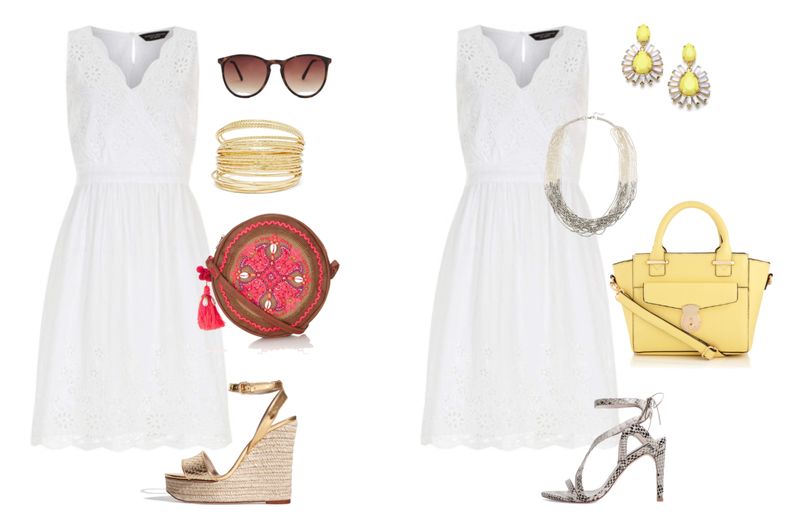 You can even dress it up or down and wear the same LWD during the day time and at night events, parties or dinners. 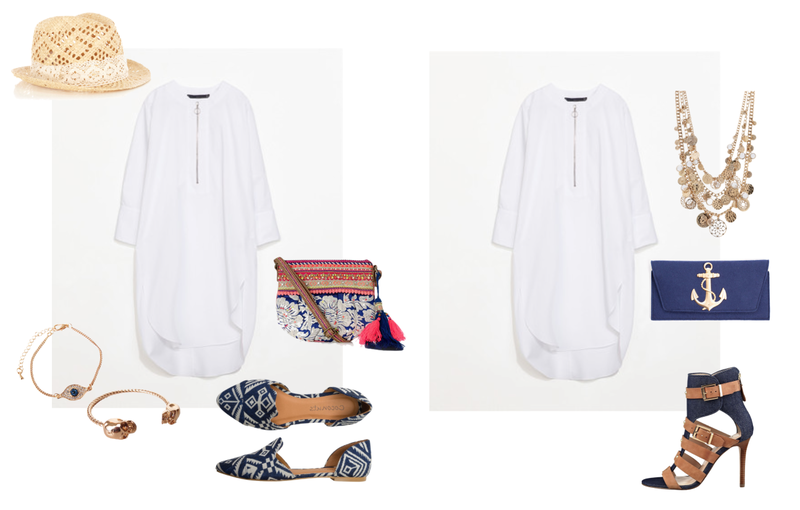 Have a look at the outfits I've pulled out for you and tell me which one would you wear! Dress, Dorothy Perkins. LEFT: bag, Accessorize. Sunglasses, Mango. Bangles, Nastygal. 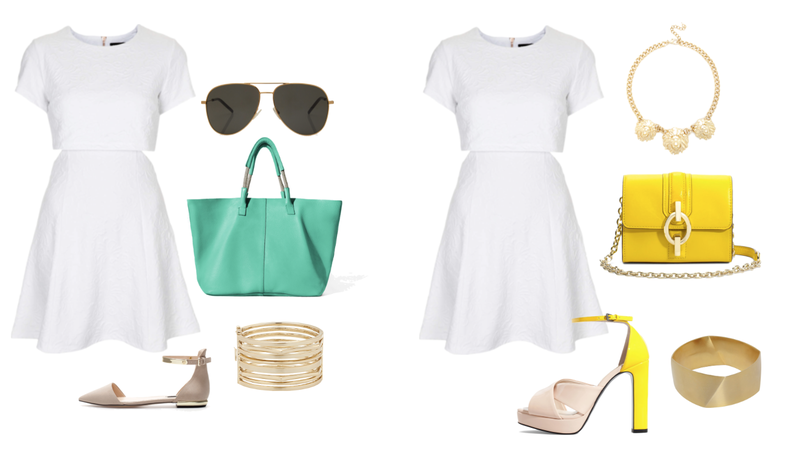 Shoes, Zara - RIGHT: Heels, Zara. Necklace & bag, Accessorize. Earrings, ABS by Allen Schwartz. Dress, Topshop. LEFT: Sunglasses, Saint Lauren. Bag & flats, Zara. 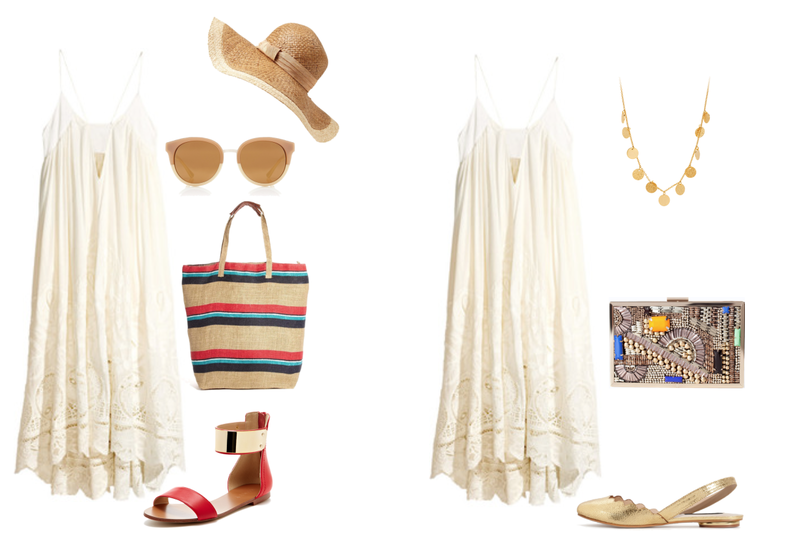 Bangles, Nine West - RIGHT: Necklace, Sole Society. Bag, Diane Von Furstenberg. Heels, Zara. Bracelet, House of Fraser. Dress, Zara. LEFT: Hat, Oasis.com. Bracelets, Black Tied. Bag, Accessorize. Flats, Swell.com - RIGHT: Necklace, Theshoppingchannel.com. Clutch, Tnuk.com. Heels, Guess.